Business hours: 6am to 11pm, daily. NOTHING compares to the King of Fruits, especially when it is enjoyed at the end of a fasting day. 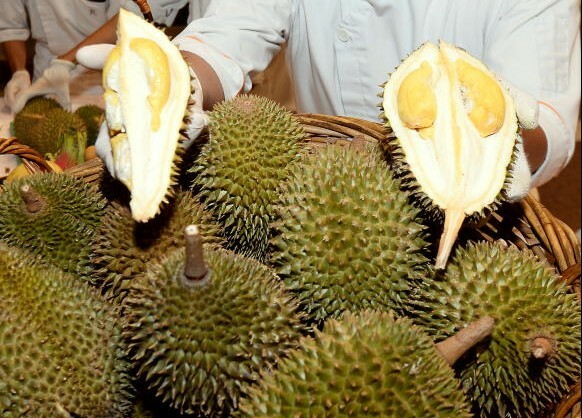 Making dreams come true, TEMPTations restaurant at Renaissance Kuala Lumpur is offering an all-you-can-eat durian buffet with its Ramadan spread. With more than 100 local favourites, from an authentic local selection of kerabu, jeruk and sambalto specially prepared nasi minyak, nasi hujan panasand nasi bukhari as well as an array of gulai, diners will be spoilt for choice. Executive chef Helmut Lamberger said they have introduced a wider variety of dishes this time around. “Dishes like the grilled lamb are common these days, so we decided to amp up our presentation of the traditional flavours. “For example, the fish head curry is very popular with our guests. 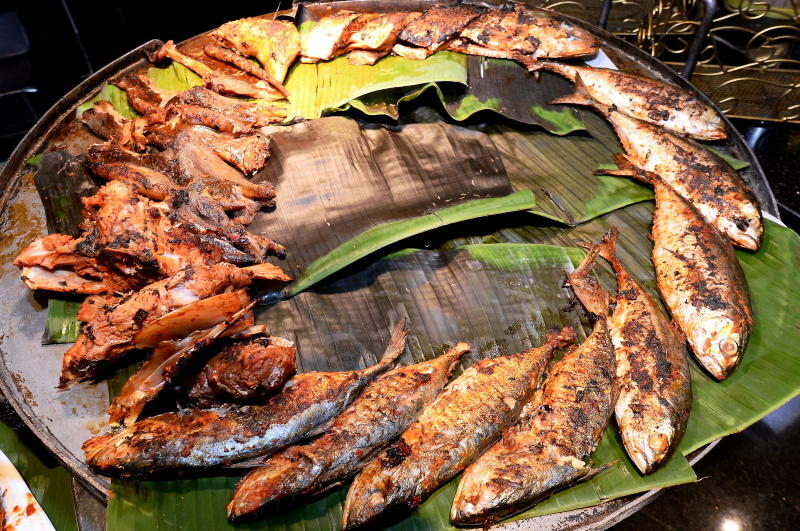 To cater to our international guests, we use seabass and snapper as it is more full-bodied,” he said. 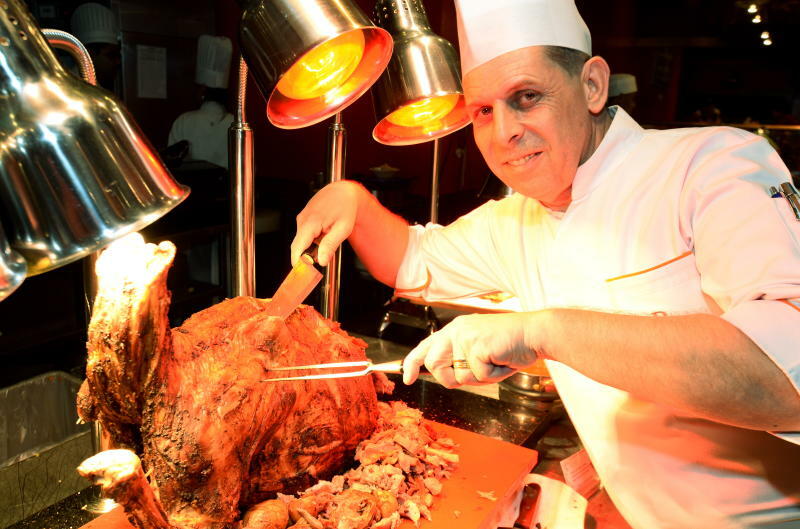 Executive chef Helmut Lamberger cuts into succulent grilled whole lamb. The dish will be available everyday during at the Ramadan buffet. As an appetiser, try the chicken satay with peanut sauce. The meat was juicy and full of flavour. One of the highlights of the buffet was the Kuzi Kambing Tulang Rawan. The dish of slow-cooked goat meat was well-seasoned and cooked until tender and its thick gravy went well with the various rice dishes and bread. Another favourite was the Beef Stew – a one-pot dish filled with chunks of meat, crunchy celery and sweet carrots. At the grill corner, you will find different types of fish to bakar upon request, with up to five types of seafood available daily. Sample the various grilled seafood with their special dipping sauce. I enjoyed sampling the different types of sambal, from the sweet variety to the spicy ones. Among the many vegetable dishes, my favourite was the Pucuk Paku Masak Lemak Cili Padi. The hint of bird’s eye chilli was not overpowering but complemented the dish. Other dishes, including all-time buka puasa favourites gado-gado, rojak buah, pasembor, an assortment of crackers, pickled fruits and the must-have bubur lambuk, are available every evening throughout the fasting month. 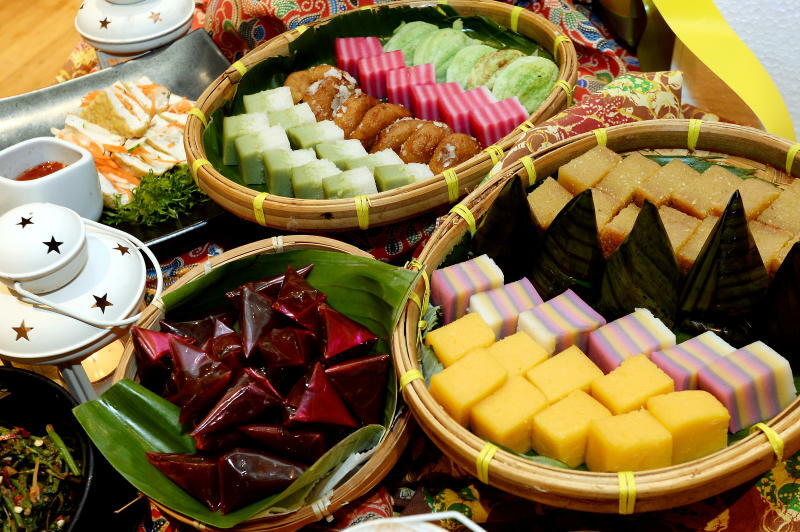 Traditional Malay kuih entice diners to linger over their selection. The noodle station offers laksa Johor, laksa Penang, laksa Kelantan and Nyonyalaksa. Starting June 7, the buka puasa buffet is priced at RM145 nett per person while children aged six to 12 can dine for half the price. The durian buffet is priced at RM99 nett per person. However, if diners want to indulge in both buffets, it is priced at RM170 nett per person. The buffet is available from 6.30pm to 10.30pm daily throughout Ramadan.